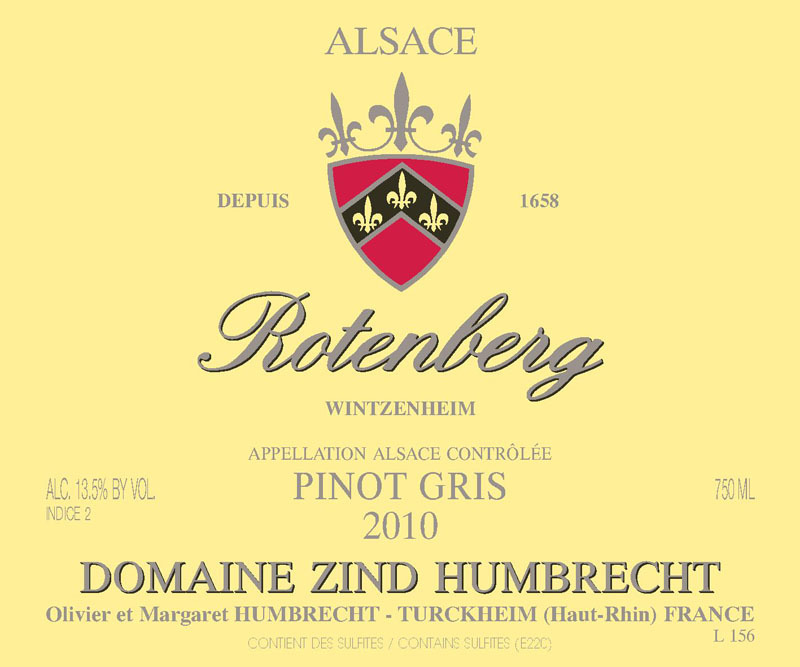 The Rotenberg is located on the west side of the Hengst Grand Cru and turns from a West to North-West exposure. This cooler, less sun exposed facing, doesn’t cause any problem. The quality of this little vineyard comes essentially from its fantastic red colored limestone, rich in iron but with a poor top soil and very rocky texture. Yields are always naturally very small, which suits the Pinot Gris perfectly. The altitude and facing are actually an advantage in today’s warmer vintages. As the sun appears late morning and stays late, it allows the grapes to ripen very slowly and keep a good acidity. This climate also allows noble rot development, but in 2010, because of the small crop, botrytis was slow to develop and the grapes were harvested very healthy. The fermentation was slightly faster and the wine kept a medium sweetness. 3/2012: this wine was bottled in September 2011 and it helps the wine to be more expressive today. The nose shows delicate toasty, nutty and white fruit aromas. The palate feels gentle and creamy with excellent acidity eventually bringing a very nice harmony. The finish is just off dry, thanks to the firm structure. It is a very elegant wine, quite easy to use with food.